Dubai: The Indian Premier League (IPL), as always, promises to be as exciting as always as the 12th edition gets under way from Saturday. A discerning feature of arguably the best T20 league in the world lies in the fact it has created so many stars from unknowns — who have used the platform to express themselves. Any player who has shown a hint of promise in international cricket have become part of the IPL with team franchises scooping them quickly. A player who has excelled in IPL soon becomes a ‘wanted’ player for other franchise leagues around the world. In fact, IPL performance has even won them a place in their national teams or helped them cement their place in respective national squads. A case in point is West Indies spinner Sunil Narine, who was just a rookie spinner when he was picked up by Kolkata Knight Riders in 2012. Today, this mystery spinner is a superstar. South Africa’s David Miller similarly earned the sobriquet ‘Killer Miller’ after his performance for the Kings XI Punjab in the 2013 IPL edition. Though Kieron Pollard had played for the West Indies before playing in the IPL, it was his performance in the 2010 IPL that made him a superstar. Among the latest to become a newsmaker in IPL is Nepal’s Sandeep Lamichhane. Ever since he was snapped up by Delhi Daredevils, at the age of 17, to play in IPL 2018, this youngster is in demand and is now busy travelling around the world playing in different leagues. 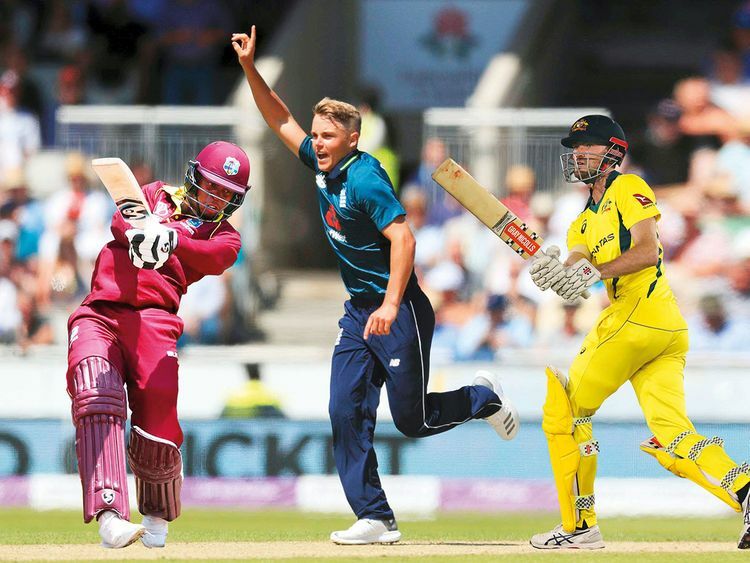 The 12th edition will have a few promising debutants and among them is West Indies’ 22-year-old Shimron Hetmyer, who has been picked by Royal Challengers Bangalore. He was very impressive in the recent series against India, where he scored 259 runs from five matches and proved to be a good hitter with 16 sixes from the series. Ashton Turner, who guided Australia to a series-levelling win over India at Mohali during the recent ODI series, will make his IPL debut for Rajasthan Royals. He has already enhanced his reputation as a fine hitter in the recent Big Bash League and a good performance in the IPL may result in him becoming the game’s next big thing. Similarly, New Zealand’s Mitchell Santner, who hogged the limelight in the T20 series against India, will make his debut for Chennai Super Kings and so will the 20-year-old England all-rounder Sam Curran. Mumbai Indians will have a new left-arm pacer in 28-year-old Sam Behrendorff from Western Australia. In the second T20I against India he picked four wickets for 21 runs and was one among the strike bowlers in the Big Bash. IPL is bound to enhance his reputation. West Indies’s 21-year-old speedster Oshane Thomas, bought by Rajasthan Royals, made some of the India’s top batsman struggle against his pace on Indian wickets recently. Delhi Capitals, which has undergone an overhaul including having a new name, has picked West Indies’s 20-year-old Sherfane Rutherford. Many new faces from India’s domestic cricket too will make their IPL debut. Kings XI Punjab has shelled a fortune to rope in 27-year-old leg-spinner in Varun Chakravarthy. Anmolpreet Singh, a young Punjab batsman who played for India U19 team, has been picked by Mumbai Indians and may create a big impact. Shivam Dubey, the 25-year-old all-rounder, had scored heavily in Ranji Trophy from Mumbai and is considered to be a good buy for his ability as a strike bowler too. Indian Under-19 captain and wicketkeeper Prabhsimran Singh will debut for Kings XI Punjab — the latter winning him after an intense bidding war with Mumbai and Bangalore. Much is expected even from 16-year-old leg spinner Prayas Ray Barman from West Bengal, who will debut for Bangalore. Let’s wait till early May to find out who among them can make their mark on IPL’s big stage this time!